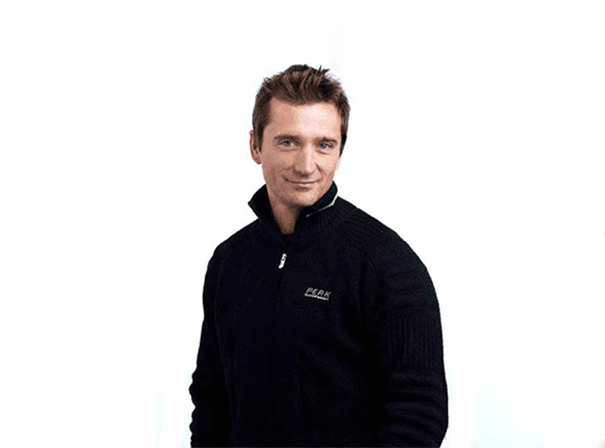 Former Olympic skier Graham Bell is one of the most experienced British Olympians this country has ever produced, and as such is well placed to talk about winter sports on your TV show, at your corporate function or in front of young and aspiring audiences as an after dinner speaker. Unquestionably one of the best down hill skiers this country has ever seen, Graham’s accolades include a Silver Medal at the World Junior Ski Championships, but so too did he compete at five Winter Olympics in Sarajevo 1984, Calgary 1988, Albertville 1992, Lillehammer 1994 and Nagano 1998. One of his best results was 12th place in the famous Hahnenkamm Race in Kitzbuhel, Austria, before retiring in 1998 having flown the flag for British skiing all throughout the 1980 and 1990s. Post skiing Graham has transferred his passion and enthusiasm for the sport onto the television screen. He has reported on the Winter Olympics for the BBC, but is also the face of Ski Sunday on the same channel. 56He has also been on shows such as The Gadget Show, Through the Keyhole, Celebrity Eggheads, Market Kitchen, Ready Steady Cook and various travel shows including Wish You Here. 56Until not long ago, Graham was also International Performance Director for The Ski & Snowboard Federation and is currently a patron of The British Ski Academy. Winter Olympians in Britain are few and far between, but Graham Bell is a fine speaker, advocate of the sport and charming presences should you need such a person for your corporate or business function.